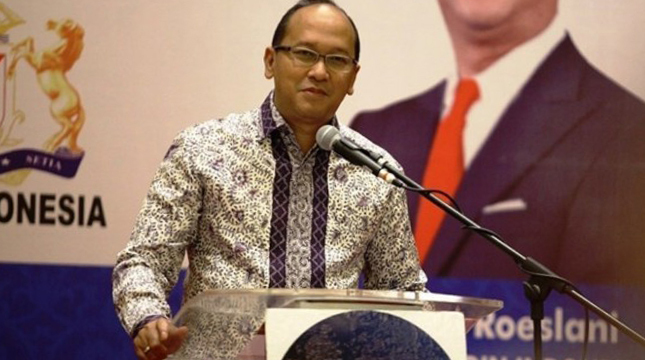 INDUSTRY.co.id - Jakarta, Chairman of the Indonesian Chamber of Commerce and Industry (Kadin) Rosan P. Roeslani invites national entrepreneurs to bring their funds abroad to be kept in domestic banks. This invitation was conveyed to spark awareness of the economic conditions, particularly the monetary-finance sector, which is in need of support. "We call on national entrepreneurs to bring home the funds that are now parked abroad to be placed in the banks in the country As nationals, national entrepreneurs must have the awareness to jointly recover the difficult situation we are facing , "urged Rosan Roeslani in Jakarta, some time ago. It is expected that the return of funds of businessmen from abroad will be able to dampen the negative trend of rupiah exchange rate against US dollar. The presence of funds of entrepreneurs in the national banks will also be able to support the liquidity of national banks. The reason is, since March 2018 credit growth increased higher than the growth of third party funds (DPK). National banks generally prefer to conduct liquidity tightening policies. According to Rosan, awareness to jointly restore the difficult situation that is facing this nation is needed. Nevertheless, it still needs a series of stimulus so that incoming funds are not just parked in national banks. "We have to be aware that the export of foreign exchange should be stored in domestic banks," said Kadin Chairman. Rosan hopes that there will be incentives given by the government to entrepreneurs who repatriate domestic funds. In addition, Rosan also asked local banks to compete with foreign banks in project financing and large-scale investment. So far, large-scale investments or projects are more often financed by foreign banks. They then ask the debtor to open an account and deposit funds as collateral. "Our banks have to finance large investments in Indonesia so that the results can be placed in local banks, so I understand that the funds are held in foreign banks because foreign lenders require the placement of funds in their banks," Rosan explained. Kadin Chairman also asked the regulator to consistently apply the rules, especially concerning the obligation to use the rupiah currency in every domestic and international trade transaction. "One of the most frequent violations is the practice that takes place in hotels in Indonesia and hotels often charge foreign currency payments," he concluded.